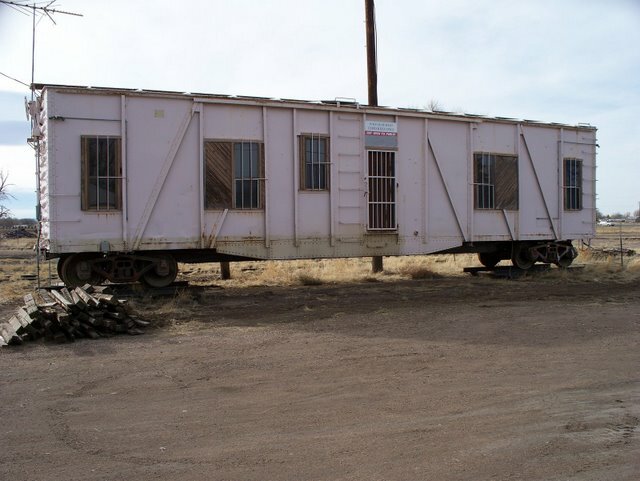 Union Pacific 6 man bunk car - quarters for the work gang. Presently in Laramie's West Side. Bunk car - ours is similar and from the same road number series.